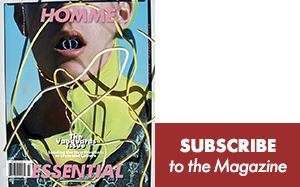 Ready to sever ties with your shaving brand of choice? 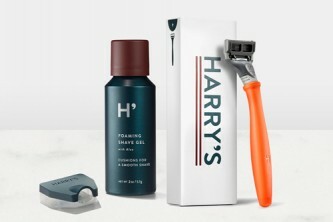 Game-changer Harry’s is ready to switch up the grooming market, yet again, with its new Bartershop, a pop-up store where you can trade in unused razorblades for Harry’s selection at the equivalent retail value. 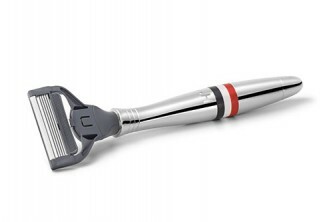 With a unique, independent-style razor, the Bartershop promises to multiply your blade supply and improve your shaving philosophy. 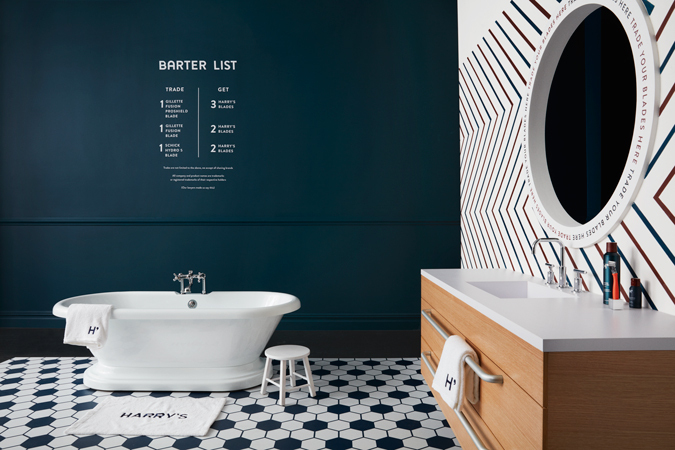 A testament to the brand, the store features an attractive, tongue-in-cheek bathroom design with illustrations that decorate the wall. 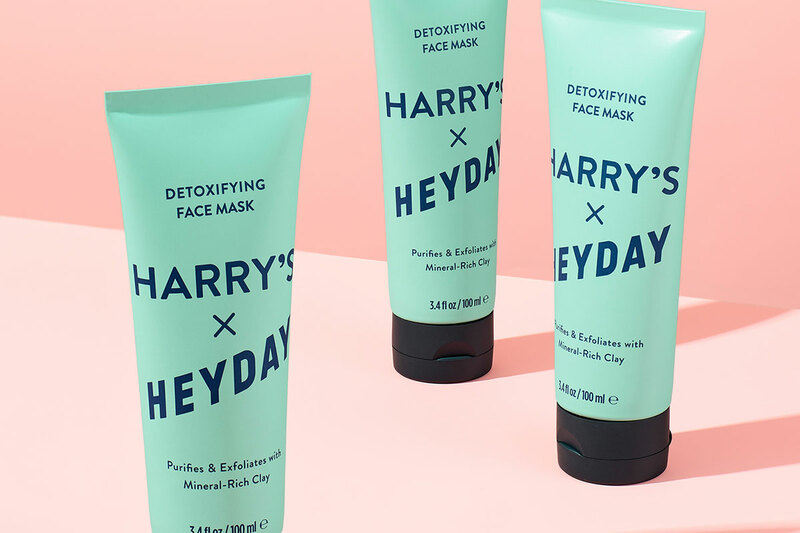 Behind the oversized vanity mirror you’ll be greeted by your very own Harry’s specialist – handsomely attired in a bathrobe – who’ll barter you a new shaving experience. 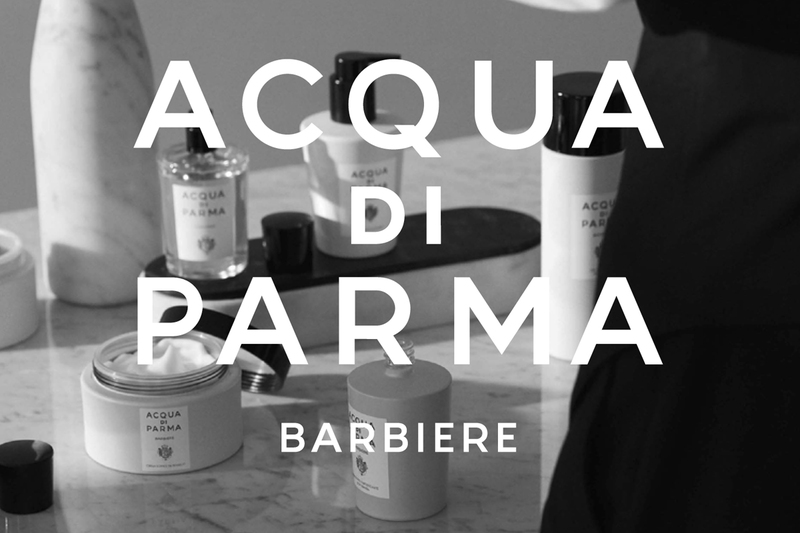 The shop mimics the razor’s design, opting for a classic, minimalistic style, providing a personable feel that rejects the hyper-saturated aesthetic of major shaving companies. 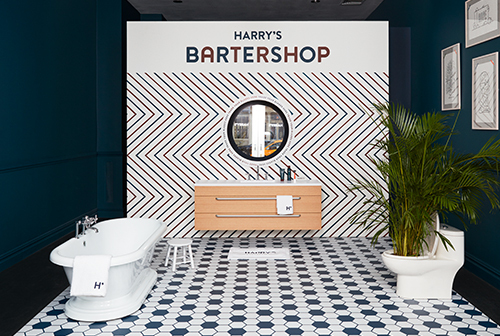 The Harry’s Bartershop will be open from October 20 to 26, 2016 at 79 Greene Street, New York City.